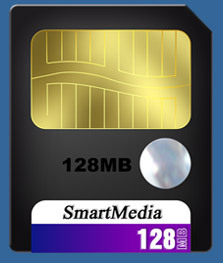 Smart Media Recovery: The Smart Digital Recovery Software to Recover Deleted Digital Photos. Smart Media Software to Recover Deleted Photos. GetData are experts in Smart Media recovery. If you have accidentally lost digital photos, or deleted or formatted pictures, videos or sound files on your camera card, or have pulled it out during a write operation, our software can easily, quickly and reliably reconstruct the lost files. The software is designed to work on all types of camera media, including Smartmedia, Compact Flash, Memory Stick and Micro Drive. GetData software is designed so that users can download the trial version to recover deleted photos and instantly preview their content. If a photo can be previewed then it is guaranteed that the file can be recovered and saved once the program is activated. The software is compatible with all common photo formats, including JPEG, TIF, RAW and CRW. It is designed for all version of Windows, including 98/ME/NT/2000/2003/XP/Vista. We are confident our software can assist you to recover you deleted digital photographs. Please do not hesitate to contact us should you require photo recovery assistance.